Real Estate Postcards, Just Listed Postcards, Prospecting Postcards & Just Sold Postcards that Get You More Leads, More Listings and More Sales! 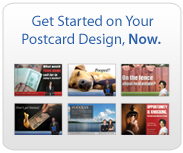 It's Time to Enhance Your Career With Real Estate Postcard Marketing. For over 50 years real estate postcard marketing has been rock-solid, time-tested, and has carried thousands of now top producing agents up the ladder of success in their business and personal lives. Now this phenomenal website has created a modern and simple 3 step postcard marketing system to help agents achieve their maximum potential in today's complex and competitive real estate market. See How It Works Now. 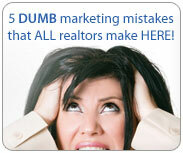 Do You Make The 5 "Dumb" Marketing Mistakes That Almost ALL Agents Make? 1. Do you drop your commission? 2. Do you keep in touch with past clients? 3. Do you have giant business card syndrome? Learn How to Avoid All 5 Mistakes Here! "Every real estate agent has the same old newspaper and MLS marketing plan. I set myself apart from the competition by mailing out 5,000 just listed postcards for every new exclusive listing I sign. I always get another listing in return! After your 3rd postcard people really start to recognize who you are! I listed 26 properties last year. 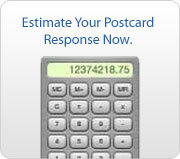 Real estate postcards really helped make a difference in my career".